Do you wanna buy a snowman? I do. In fact, I wanna buy THIS snowman. 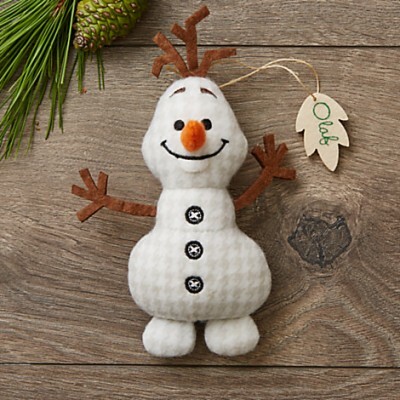 This Olaf Ornament, along with the other Disney Storybook Plush Ornaments this year, are the cutest things I’ve seen! They have that handmade rustic charm with Disney cuteness overload! Check out our other Favorite Disney Ornaments we’ve rounded up in our Gift Guide!